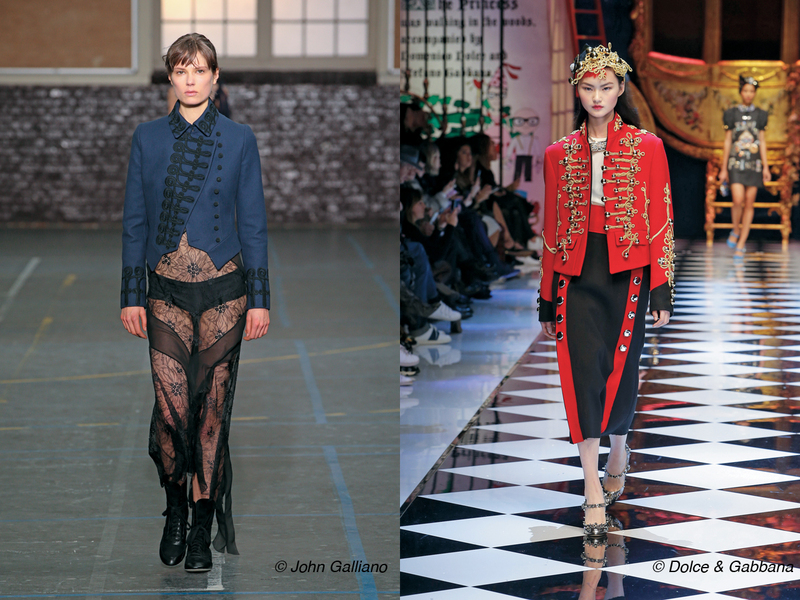 The corset makes its comeback far from lingerie. It is worn as a belt at Prada. 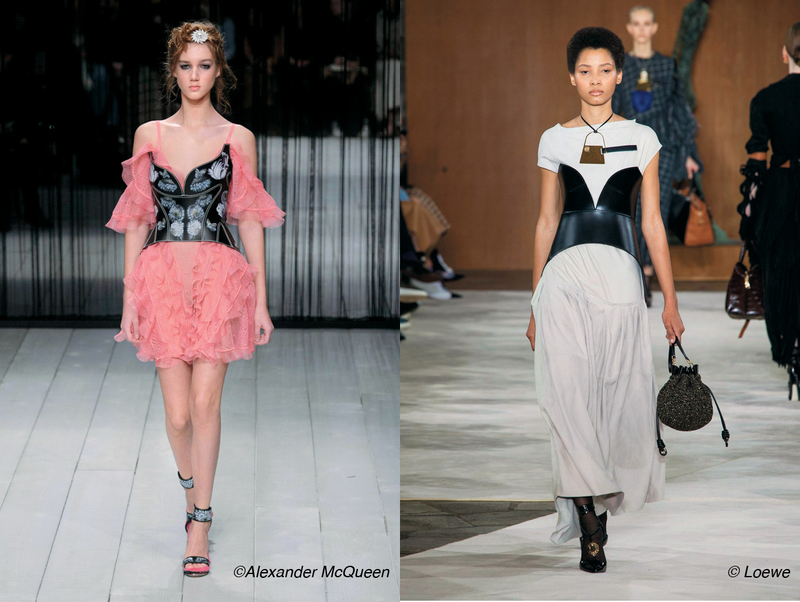 In leather, at McQueen and Loewe, it becomes armor. 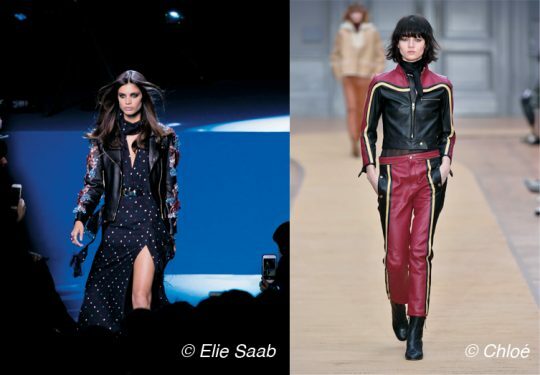 The winter biker version 2017 wears her oversized jacket with delicately embroidered sleeves (Elie Saab) or associated with her leather pants. 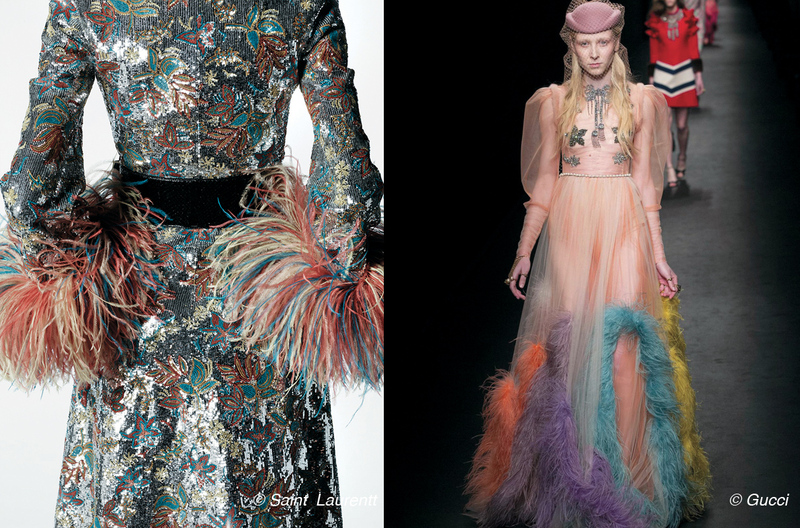 Valentino, Galliano, Acne or Molly Goddard were inspired by the tutu and other stage costumes of the star dancers. Star piece: the ballerinas diverted in ankle boots of Valentino. 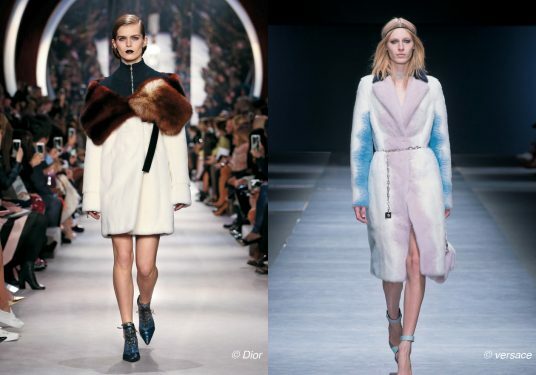 The fur (the real as the false) is always the heroine of the winter wardrobe. 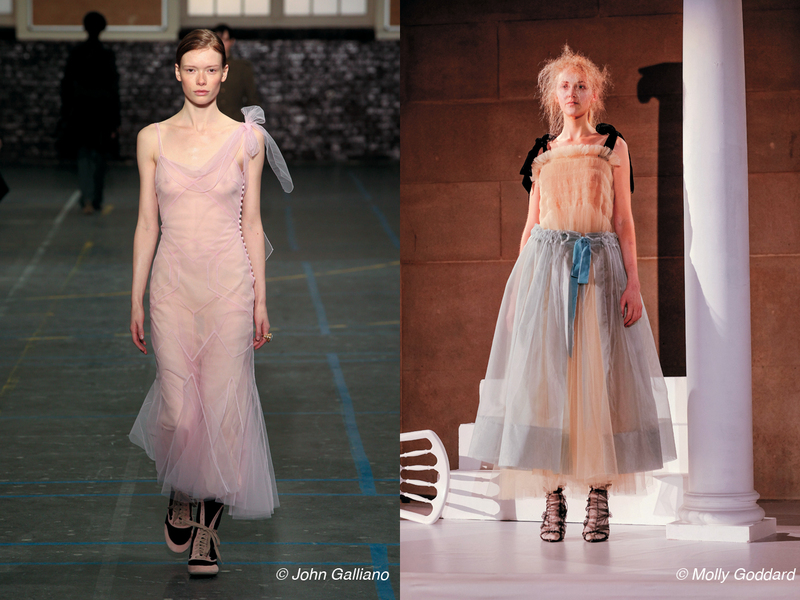 This year, it is tinted with pastel colors. 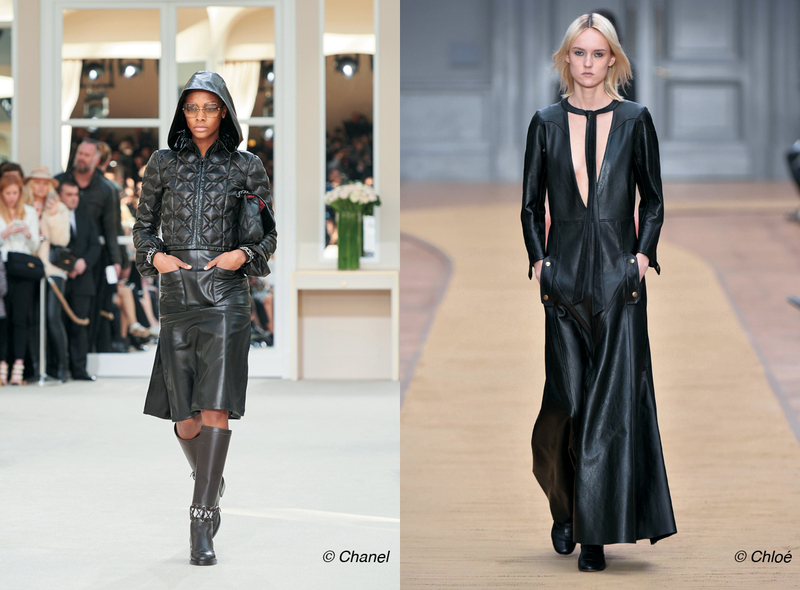 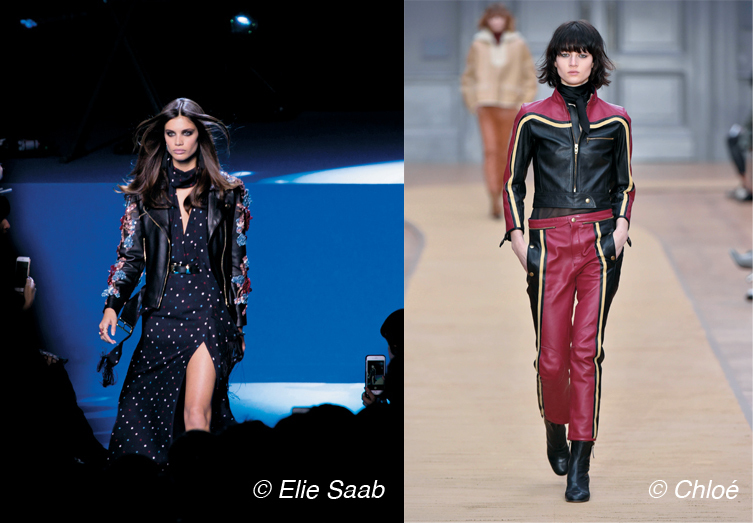 The leather becomes second skin and is worn in total look, quilted at Chanel or cowgirl edgy at Chloé. 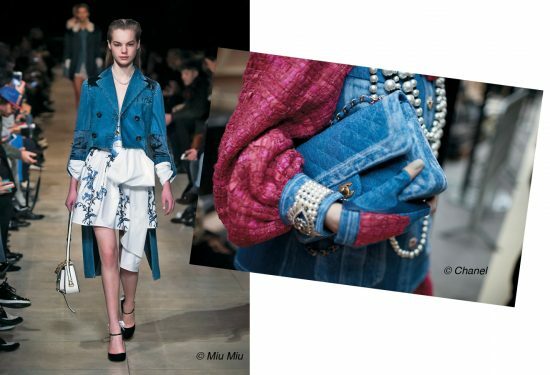 The embroidered oversized jeans jackets are unanimous on the catwalk, from Miu Miu to Chanel and Stella McCartney. Denim mania also affects bags and other accessories. 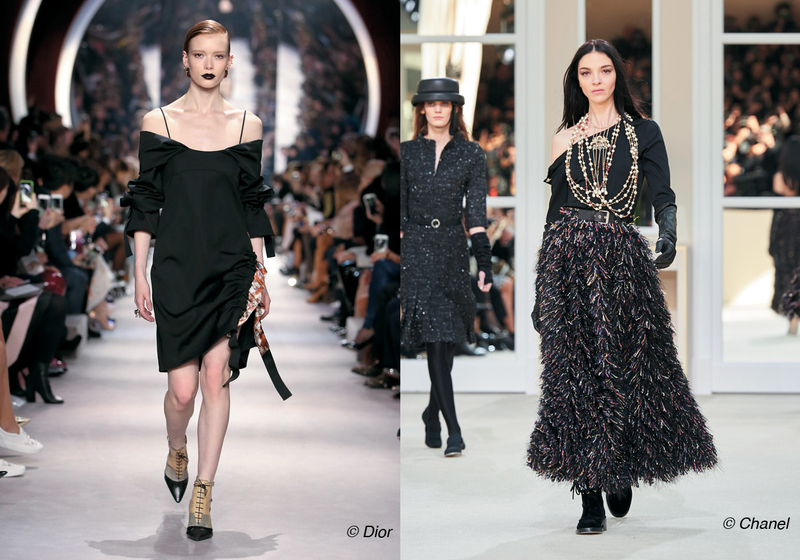 The flagship of the season, the velvet blackout was imposed on all the parades. 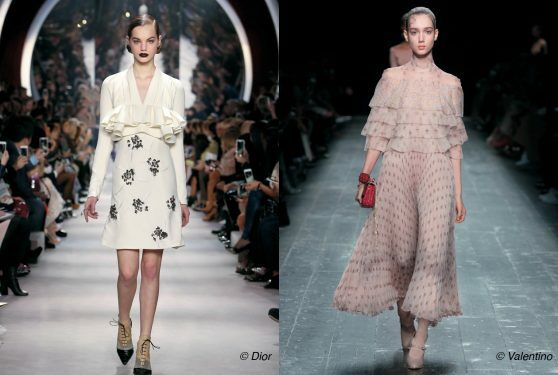 Seen at Chloé, Balmain, Rochas, Dior and Valentino, the ruffles add a romantic feminine touch to the season. The shoulders are denuded and play the card of sensuality. No question of taking out this «trick» in feathers from the closet … Airy, the feathers come to embellish the sleeves and the dresses. Unmatchable, the leopard print dismisses its classic palette and is adorned with colorful spots for a more pop effect. 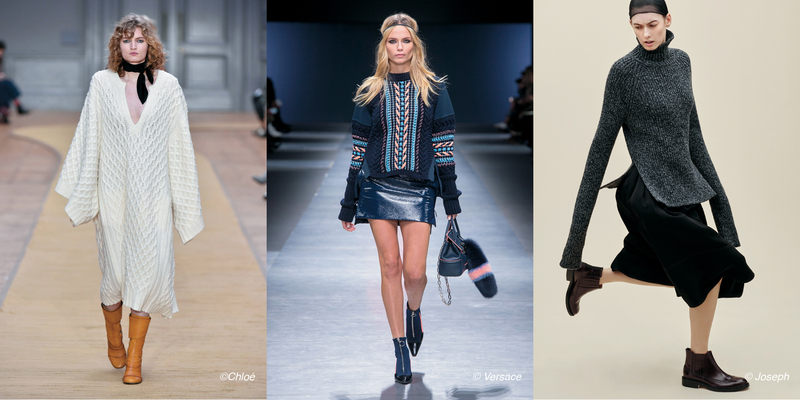 Woollens and knitwear are worn in oversize sweatshirts, high-necked sweatshirts, pants or skirts. 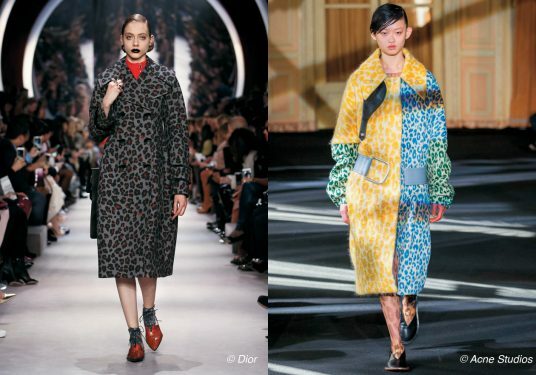 Prefer the total look for a cocooning effect. 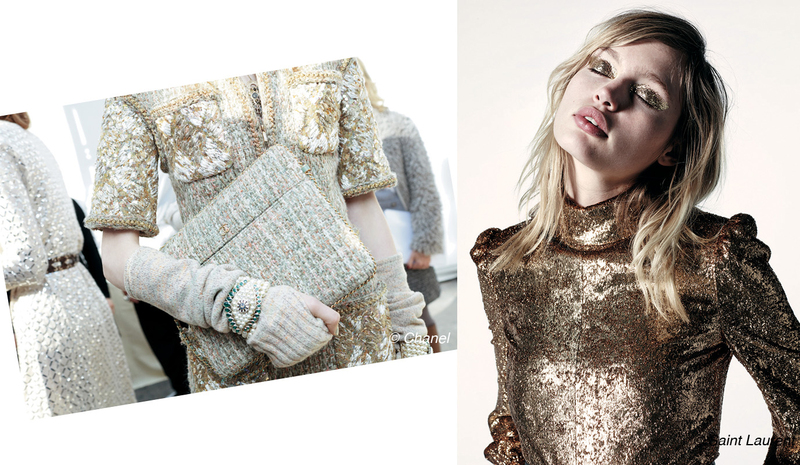 Gold again and again … But in more measured tones with bronze reflections.